Download a printable listing (PDF) of our Elder-Abuse related reports, journal articles and products. The National Center on Elder Abuse: Helping America’s elders to live with safety, dignity, and independence. Chen EA, Twomey MS, Whittier Eliason S. Genearations. 2012 Fall 36(3):103-105. The Center of Excellence on Elder Abuse and Neglect at the University of California, Irvine. Chen EA, Twomey MS, Mosqueda L. J Elder Abuse Negl. 2010;22(3-4):247-254. The medical director's role: Neglect in long-term care. Gibbs LM, Young L. J Am Med Dir Assoc. 2007 Mar;8(3):194-6. Confronting elder mistreatment in long-term care. Gibbs LM, Mosqueda L. Annals LTC. 2004 Apr:12(4):30-35. Elder abuse: A medical perspective. Gibbs L, Mosqueda L. Aging Health. 2010: 6(6):739-747. Geriatricians and psychologists: Essential ingredients in the evaluation of elder abuse and neglect. Falk E, Landsverk E, Mosqueda L, Olsen BJ, Schneider DC, Bernatz S, Wood S. Journal of Elder Abuse & Neglect. 2010: 22(3/4):281-290. Clinician’s role in the documentation of elder mistreatment. Pham E, Liao S. Geriatr & Aging. 2009 Jul;12(6):323-327. Combating elder and dependent adult mistreatment: the role of the clinical psychologist. Wiglesworth A, Kemp B, Mosqueda L. J Elder Abuse Negl. 2008;20(3):207-30. Preventing and detecting elder mistreatment. Liao S. American Medical Association: Virtual Mentor. 2008;8(6):389-92. Physical abuse of the elderly: the medical director's response. Liao S, Mosqueda L. J Am Med Dir Assoc. 2007 Mar;8(3 Suppl 2):e61-4. 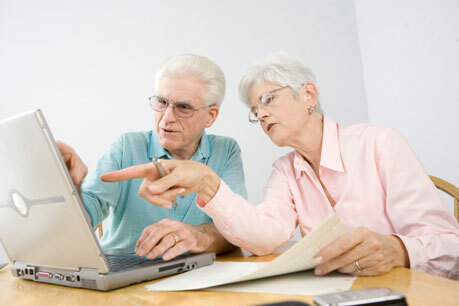 Elder financial abuse: Tips for the medical director. Kemp B, Liao S. J Am Med Dir Assoc. 2006 Nov;7(9):591-3. Epub 2006 Oct 4. Physical abuse of the elderly: The medical director's response. Liao S, Mosqueda L. J Am Med Dir Assoc. 2006 May;7(4):242-5. Review. 10. Elder abuse at end of life. Jayawardena KM, Liao S. J Palliat Med. 2006 Feb;9(1):127-36. Review. Theoretical Model Development in Elder Mistreatment. Burnight K, Mosqueda L. National Institute of Justice, Office of Justice Programs, U.S. Department of Justice, 2011. Elder financial abuse: an evaluation framework and supporting evidence. Kemp BJ, Mosqueda LA. J Am Geriatr Soc. 2005 Jul;53(7):1123-7. J Elder Abuse Negl, 22: (3-4);255-274. Mosqueda L, Twomey M, Chen E, Odom I. Learn more, or order from Terra Nova Films. Findings from an elder abuse forensic center. Wiglesworth A, Mosqueda L, Burnight K, Younglove T, Jeske D. Gerontologist. 2006 Apr;46(2):277-83. Injury patterns and causal mechanisms of bruising in physical elder abuse. Ziminski CE, Wiglesworth A, Austin R, Phillips LR, Mosqueda L. J Forensic Nurs. 2013 Apr-Jun;9(2):84-91. Fractures and Co-Morbid Indicators of Elder Abuse Study abstract (Word) Gironda M, Nguyen A. UC Irvine Institute for Clinical and Translational Science (ICTS), funded by the Clinical and Translational Science Awards program, 2012. A Multi-Site Study to Characterize Pressure Ulcers in Long-Term Care Under Best Practices: Final Technical Report for the U.S. Justice Department, Liao S, Baker M, Lowe J, Austin R, Whitney JD, Wiglesworth A, Zimmerman D, Zoromski P, Mosqueda L National Institute of Justice, Office of Justice Programs, U.S. Department of Justice, 2010. Bruising as a marker of physical elder abuse. Wiglesworth A, Austin R, Corona M, Schneider D, Liao S, Gibbs L, Mosqueda L. J Am Geriatr Soc. 2009 Jul;57(7):1191-6. Epub 2009 Jun 3. The life cycle of bruises in older adults. Mosqueda L, Burnight K, Liao S. J Am Geriatr Soc. 2005 Aug;53(8):1339-43. Accidental Bruising in Older Adults PDF. Elder Abuse: a medical perspective. Gibbs L, Mosqueda L.
Clinician’s role in the documentation of elder mistreatment. Pham E, Liao S.
Geriatr & Aging. 2009 Jul;12(6):323-327. Elder abuse at end of life. Jayawardena KM, Liao S. J Palliat Med. 2006 Feb;9(1):127-36. Review. Four models of medical education about elder mistreatment. Heath JM, Dyer CB, Kerzner LJ, Mosqueda L, Murphy C. Acad Med. 2002 Nov;77(11):1101-6. J Elder Abuse Negl. 2010;22(3-4):291-305. Advancing the field of elder mistreatment: a new model for integration of social and medical services. Mosqueda L, Burnight K, Liao S, Kemp B. People with Dementia as Witnesses to Emotional Events. Wiglesworth A, Mosqueda L. National Institute of Justice, Office of Justice Programs, U.S. Department of Justice, 2011. Screening for abuse and neglect of people with dementia. Wiglesworth A, Mosqueda L, Mulnard R, Liao S, Gibbs L, Fitzgerald W. J Am Geriatr Soc. 2010 Mar;58(3):493-500. Vision for 2020. Giles L, Brewer ET, Mosqueda L, Huba GJ, Melchior LA. Journal of Elder Abuse & Neglect. 2010;22(3/4):375-386. Elder mistreatment reporting: differences in the threshold of reporting between hospice and palliative care professionals and adult protective service. Liao S, Jayawardena KM, Bufalini E, Wiglesworth A. Journal of palliative medicine. 2009 Jan;12(1):64-70. The importance of reporting mistreatment of the elderly. Gibbs LM, Mosqueda L.
Am Fam Physician. 2007 Mar 1;75(5):628. Elder Abuse and Self-neglect: 'I Don't Care Anything About Going to the Doctor, to Be Honest. . . .' Mosqueda L, Dong XQ. J Am Med Assoc. 2011;306(5):532-540. Consortium for Research in Elder Self-Neglect of Texas Research: Advancing the field for practitioners. Mosqueda L, Brandl B, Otto J, Stiegel L, Thomas R, Heisler C.
J Am Geriatr Soc. 2008 Nov;56(s2):S276-S280.